GOLDSBORO, NC (WTVD) -- A Johnston County man is facing attempted murder charges and his alleged accomplices are on the run after a shootout involving Wayne County sheriff's deputies overnight. It started when deputies were called to a burglary in progress at a home on Minnie Drive off US 70 West. When deputies arrived, the four suspects took off on foot. Deputies pursued the suspects onto the property of Bridge Church. Authorities said that at one point, 38-year-old Lemont Turrentine was hiding behind the church. As a deputy drove his vehicle around the building, Turrentine allegedly began shooting at the deputy. The deputy returned fire. The deputy's car was hit several times but neither Turrentine nor the deputy was hit. Turrentine then ran away and was chased by other officers. After a short chase, he was found hiding in some bushes. The gun Turrentine allegedly used in the shootout was found nearby, authorities said. Turrentine, of the 1400 block of Joyner Bridge Road in Four Oaks, was taken into custody. 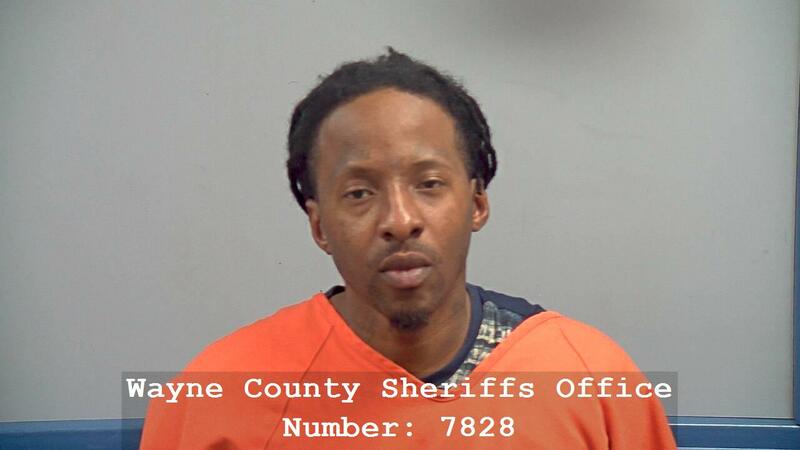 Turrentine is charged with attempted first-degree murder, assault with a deadly weapon on a government official, and possession of firearm by a felon. He is being held on $1 million bond. The sheriff''s office helicopter and the SWAT unit were then dispatched to the scene. The Johnston County Sheriff's Office also responded and assisted in the search for the remaining suspects. After a four-hour search, the other suspects were not found. They were described as only as having dark-colored hoodies. One suspect was possibly a light-skin woman wearing a hot-pink shirt and hoodie. Anyone with information about this case is asked to call the Wayne County Sheriff's Office at (919) 731-1480 or Crime Stoppers at (919) 735-2255.